This year’s rush of IPOs from Chinese tech companies has dominated headlines, but what’s more interesting is how quickly they got there. Traditionally, “going public” represented the gratifying culmination of sleepless nights and missed birthdays that went into building a company. The peak of a lengthy climb, where founders and VCs would finally see the fruits of their labor. However, Chinese companies appear to be reaching that peak much quicker than their American peers, heading to the public markets only a few years after initial venture investments, and often with little operating history. 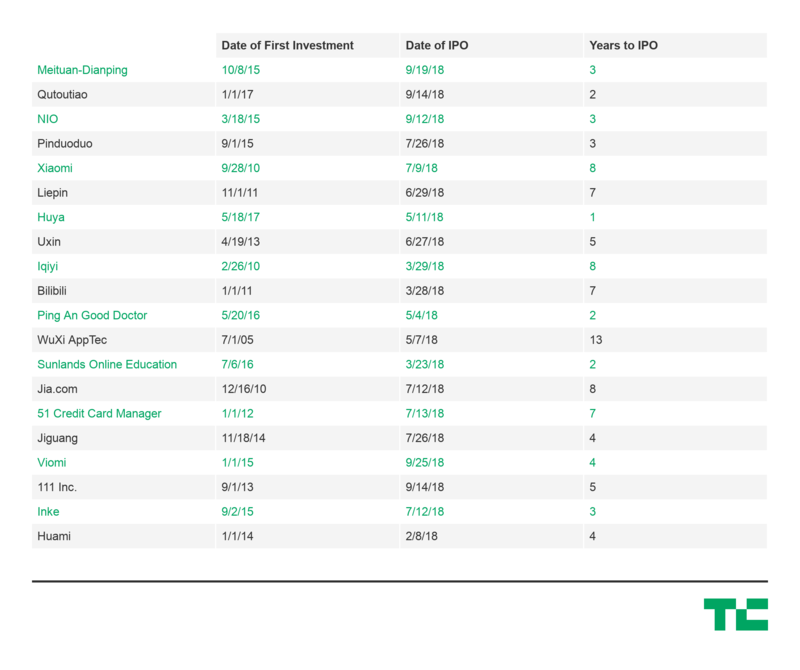 Analyzing twenty of the most high profile Chinese tech IPOs this year, the average time from first venture investment to IPO was only around three to five years. Take e-commerce platform Pinduoduo, which pulled in $1.6 billion less than three years after its Series A. Or the recent IPO of EV-manufacturer NIO, which raised a billion dollars just three-and-a-half years after its Series A and having just delivered its first car in June. 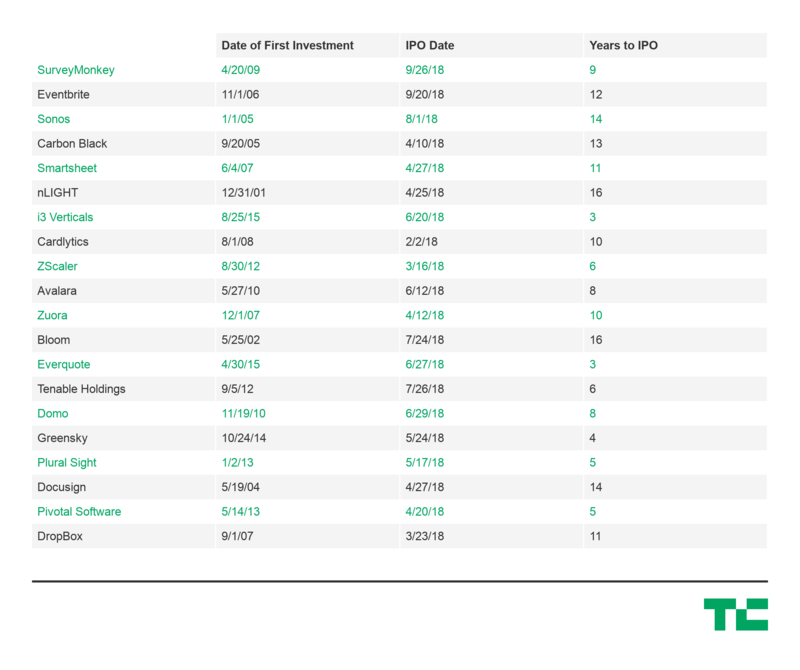 That’s less than half the average 10-year timeline for venture-backed US tech companies that went public in 2018, including Dropbox, Eventbrite, and DocuSign, which all IPO’d more than a decade after their initial investments. Differences in market maturity, government involvement, and support from large tech incumbents all undoubtedly play a factor, but the speed to liquidity for the Chinese companies is still astounding. Speed to liquidity is a critical metric for the health of a startup ecosystem. It creates a positive cycle where faster liquidity can drive faster fundraising, faster reinvestment, faster startup building, and faster public liquidity again. An accelerated cycle could be especially appealing for funds with LPs that require faster returns due to cash commitments or otherwise. It’s important to note that venture returns are a function of capital and time, so quicker exits will also drive higher returns for the same amount invested. For example, a $1 million investment with a $5 million exit after ten years would generate an Internal Rate of Return (a commonly used metric to evaluate VC performance) of 20%. If the same exit occurred after five years, the IRR would be 50%. Liquidity is a key consideration as China’s influence on the flow of global venture capital intensifies. As China’s tech ecosystem sees more of its darlings mature and more consistently deliver smashing exits, investments in China will have to be a more serious consideration for VCs, even if only to minimize the sheer amount of time, resources, and painstaking energy needed to build a company in the U.S.